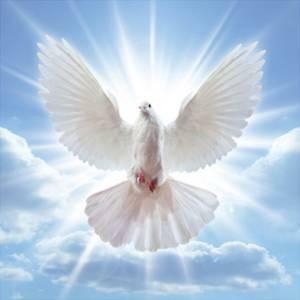 Mr. John Thomas Ethridge Jr. entered into eternal rest on Friday November 9, 2018 in Detroit, Michigan. Graveside services were held on Friday November 23, 2018. At 12:00 noon at the Adams Tabernacle CME Church Cemetery, Haddock, Georgia. John Ethridge Jr. (Puff) was born on July 26, 1926 to the union of John and Clara Bell Ethridge. He was the oldest of four children, Francis, John Jr., Rosalind and James. Who all proceeded him in death. John Jr. received christ at an early age and received his education in the Hamtramck Public School System. John was married to Ella Mae Curry for seventy years, their union was blessed with four children, Carlene (deceased), Valerie, Darris and Lyndel. He leaves behind two sons-in-law, Alonzer Foster and Louis Person (deceased). John enjoyed working on cars. He loved to shoot the breeze with family and friends in his garage. He also enjoyed talking about his childhood and living in Georgia with his grandchildren, nieces and nephews. He cared about family and his nieces and nephews as though they were his own. Everyone knew his bark was worse than his bite. John made his transition on the evening of November 9, 2018. He leaves so many fond memories for us to rejoice in and leaves behind on life, five granddaughters, Makeytric Coleman, Danita Cammon, Shanita Ethridge, Ebony Ethridge and April Pearson; Grandson-in-law, Darryl Cammon. Twelve great grandchildren and four great great grandchildren.